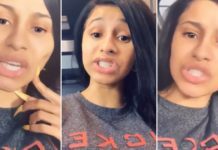 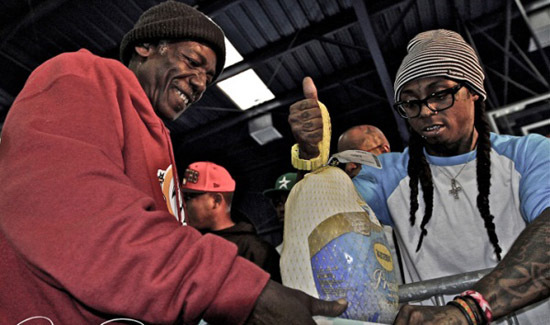 It’s that time of the year when celebrities put the GIVING in Thanksgiving, and here are photos of some of the ones who gave back this year! 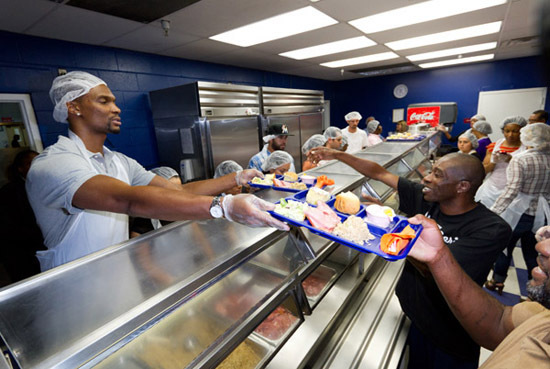 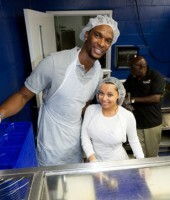 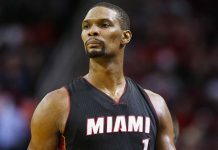 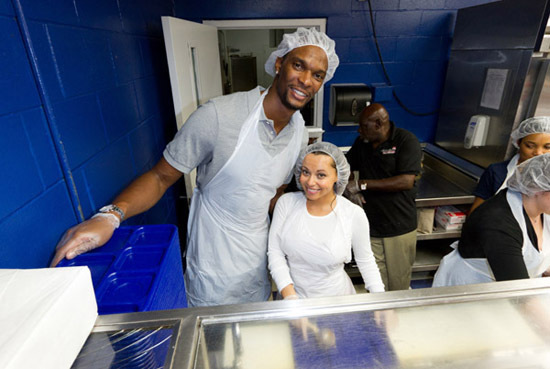 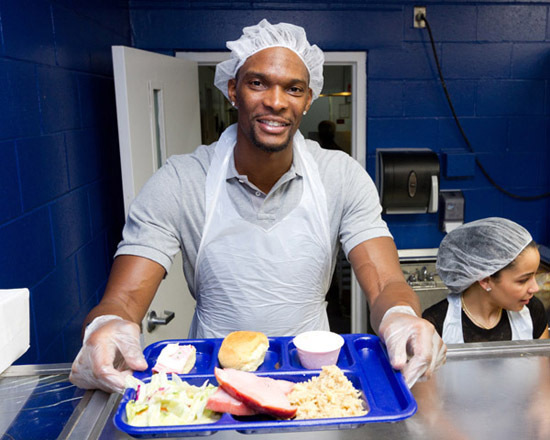 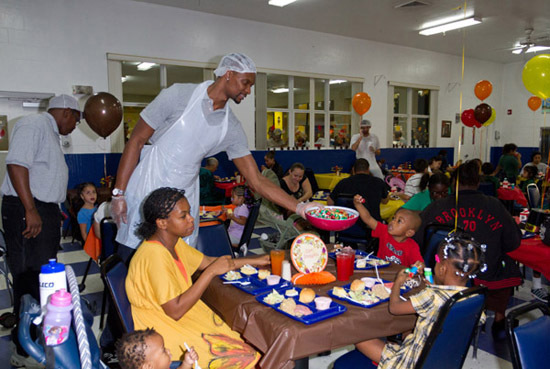 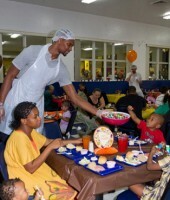 Chris Bosh and his wife Adrienne served hot Thanksgiving meals at Chapman Partnership on the eve of the holiday (Wed. Nov 23) in Miami, Florida. 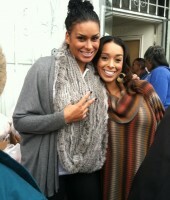 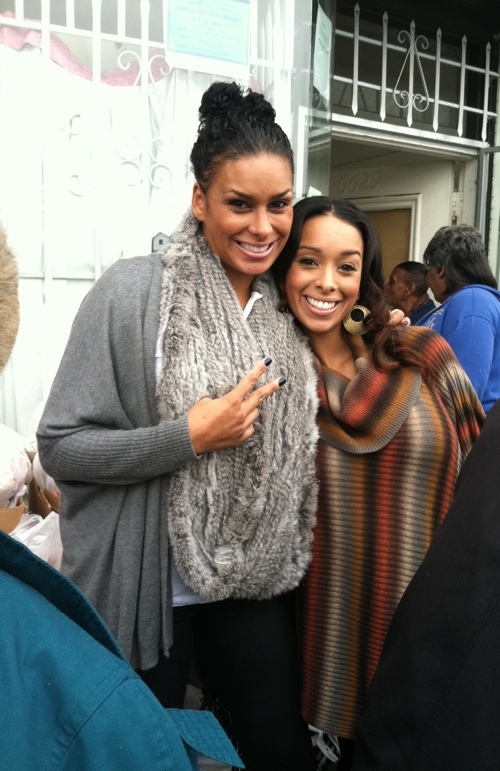 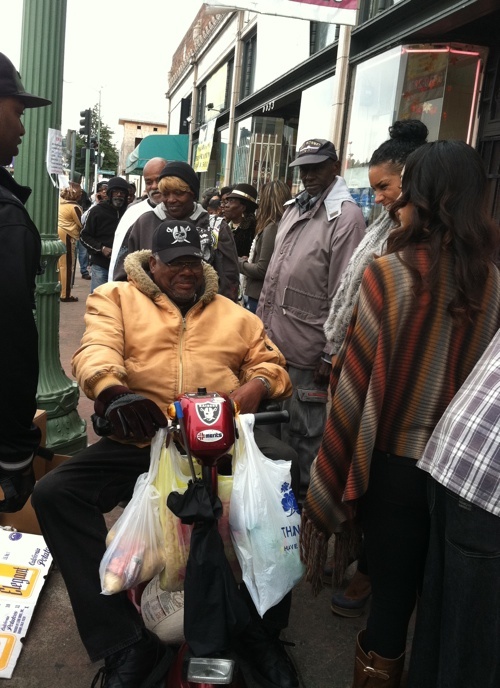 Sisters and “Basketball Wives L.A.” co-stars Laura and Gloria Govan handed out turkeys in East Oakland last Wednesday (Nov 23). 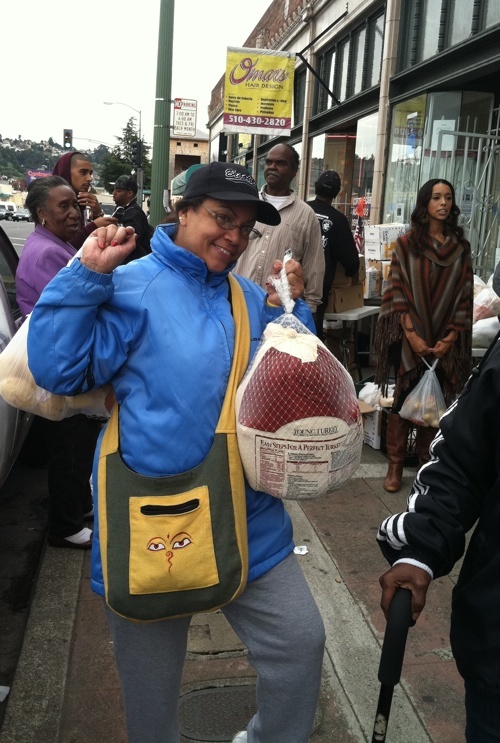 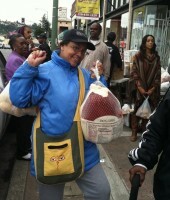 The ladies reportedly provided over 25 pounds of birds, which came with fruits and vegetables, to over 500 families. 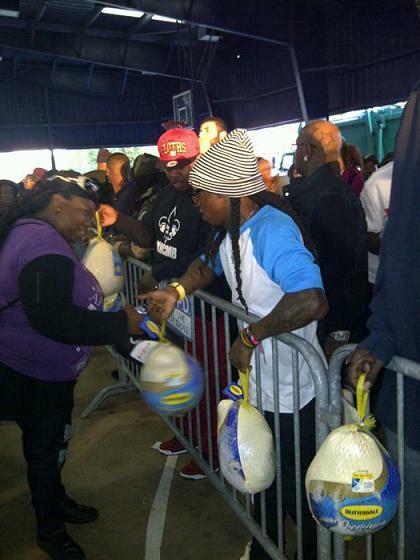 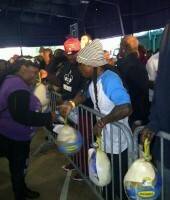 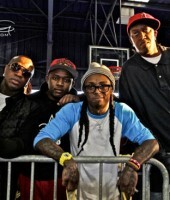 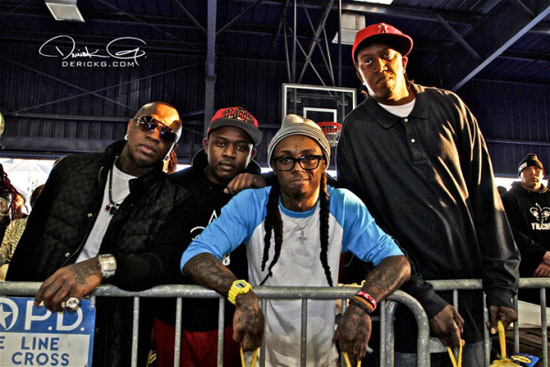 Lil Wayne, Birdman, Slim, Mack Maine and other members of YMCMB handed out hundreds of turkeys in New Orleans Wednesday as they hosted their 17th annual Thanksgiving Day Turkey Giveaway. 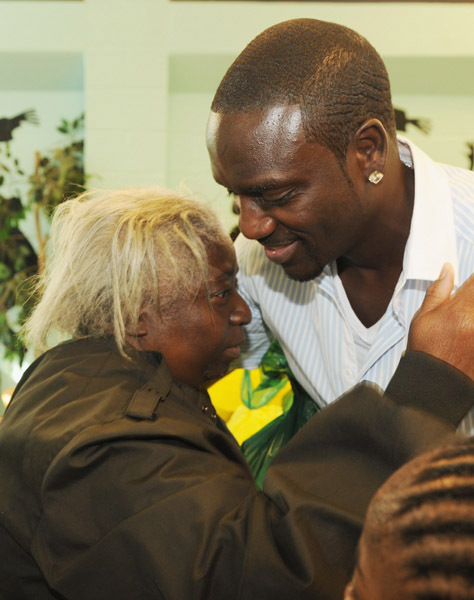 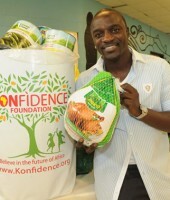 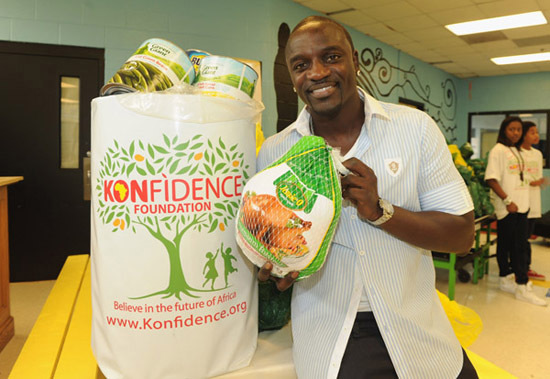 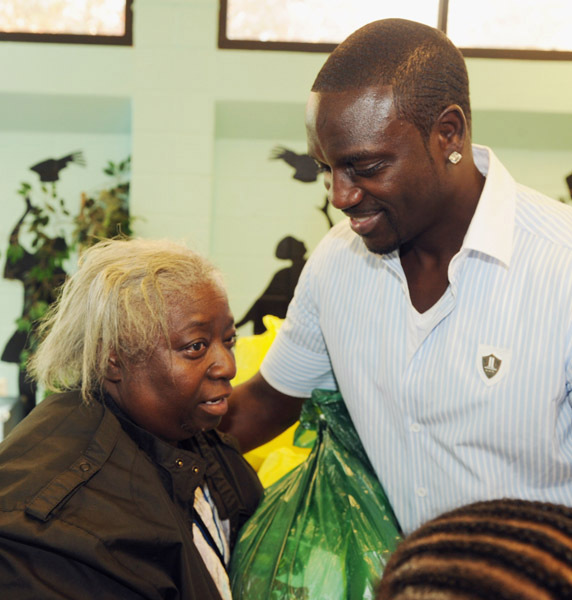 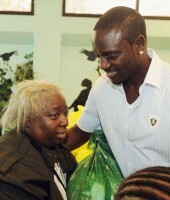 Akon and his non-profit Akon’s Konfidence Foundation, in partnership with the Boys & Girls Club of Metro Atlanta, distributed over 300 holiday turkeys to families in need at the Joseph B. Whitehead Boys & Girls Club last Tuesday (Nov 22). 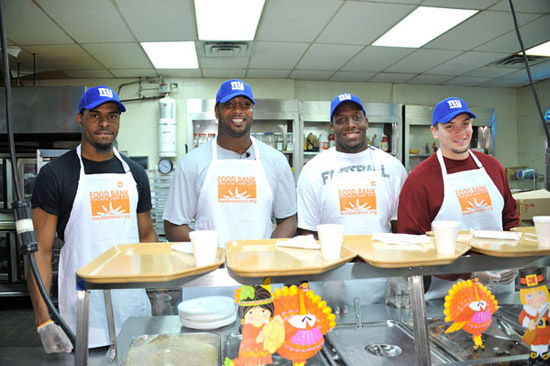 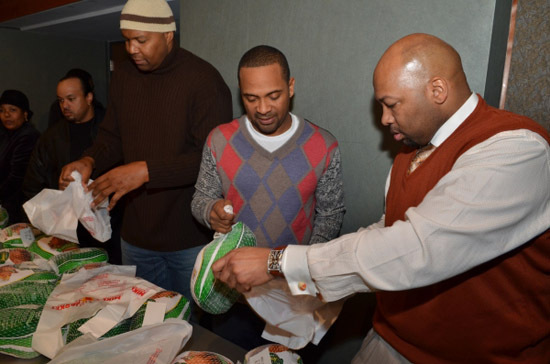 NY Giants team members Ramses Barden, Chris Canty, Kevin Boothe and Jim Cordle helped prepare and serve Thanksgiving dinners at the Food Bank for New York City’s Community Kitchen of West Harlem on Tuesday. 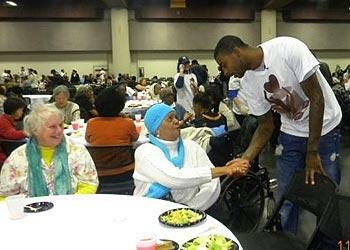 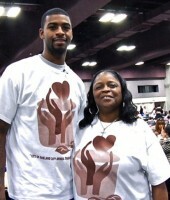 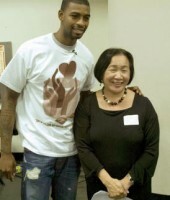 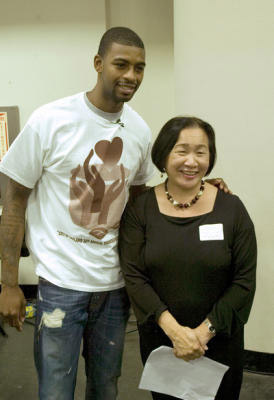 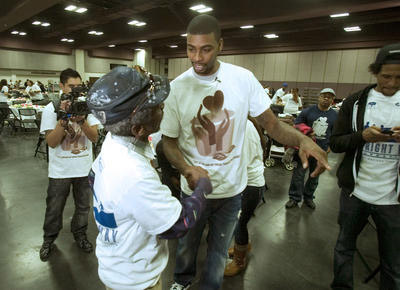 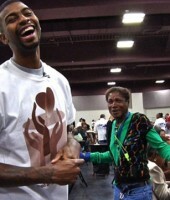 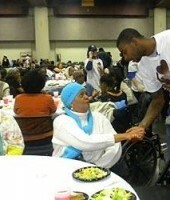 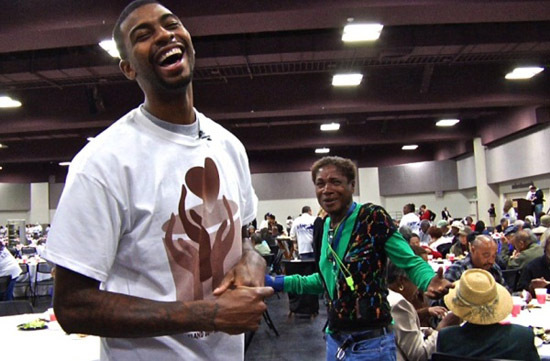 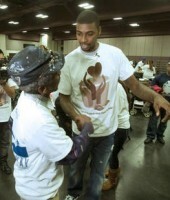 And last, but most certainly not least … Golden State Warrior star Dorrell Wright personally stepped Tuesday in to save the annual free Thanksgiving meal for the homeless in his hometown of Oakland, CA, which was in danger of getting canceled this year after suffering city budget cuts. 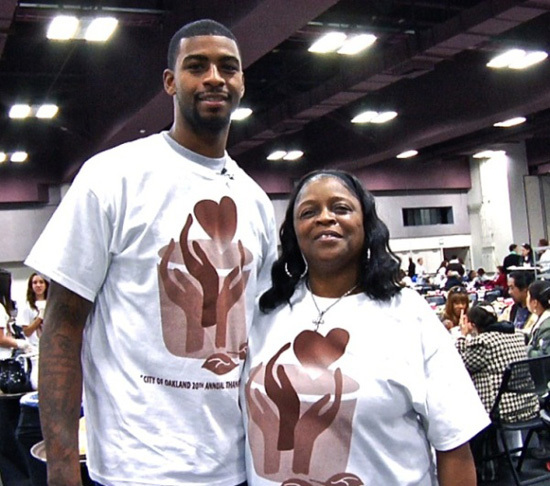 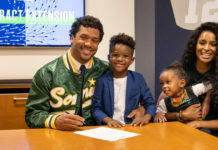 After a “generous donation” from Wright and his D. Wright Foundation, the city of Oakland was able to feed over 2,000 people and hand out over 2,000 coats a couple of days before Thanksgiving at the Oakland Marriott City Center. 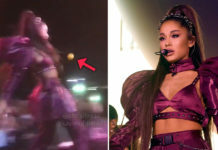 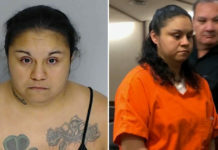 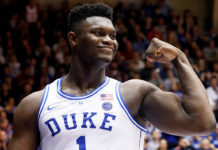 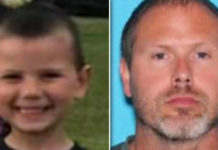 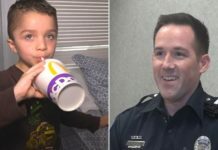 “Half of these people, the last time they had a meal like this could have been weeks or months ago,” Wright told reporters. 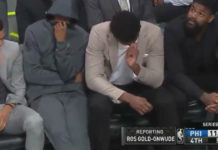 “You never know what they’re going through. 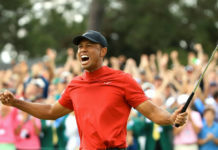 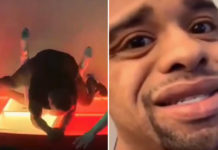 Hopefully, through the hour, two hours, however long they are here, they can just erase it all, live in the moment, enjoy this, listen to the band and get good food – get away from it and let their brain go somewhere else. 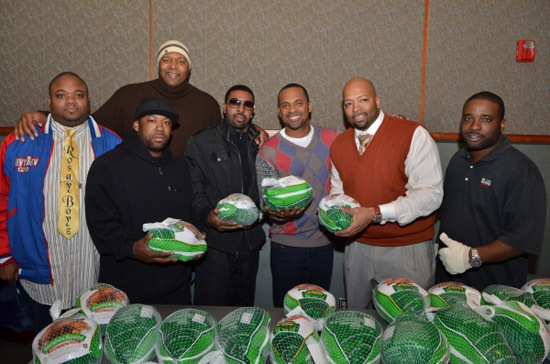 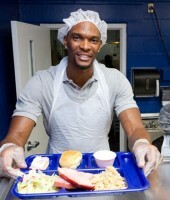 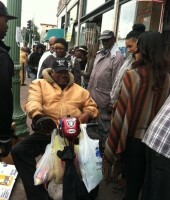 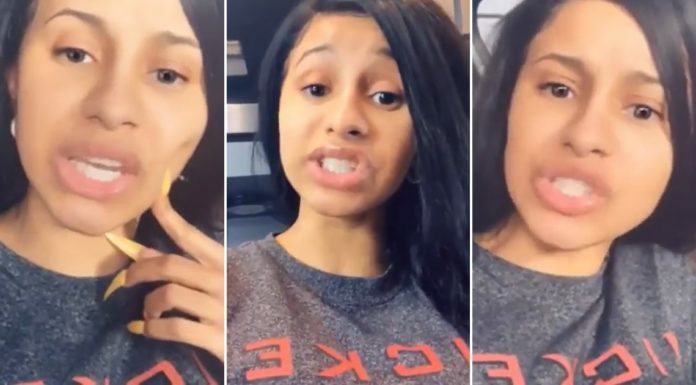 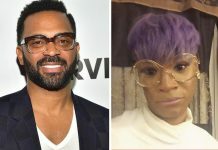 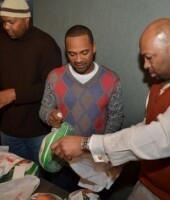 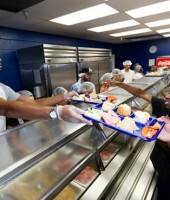 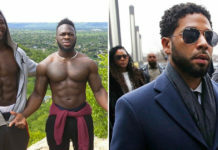 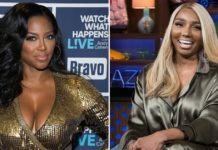 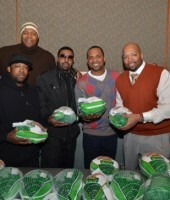 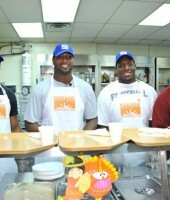 Kudos to all of the celebrities that gave back on Thanksgiving, including the ones who did so privately!